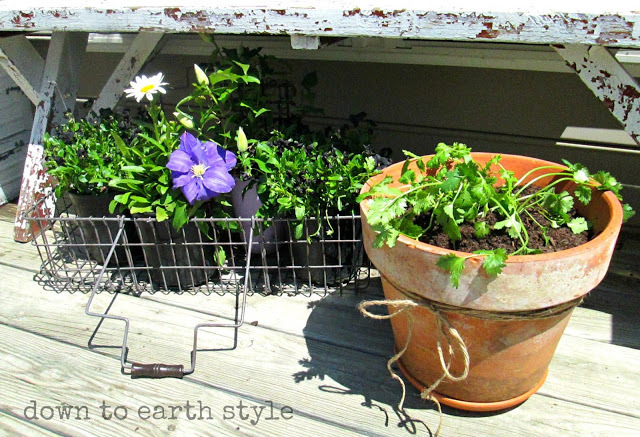 shelstring blog: Down to Earth Style Tour AND $100 GIVEAWAY! Down to Earth Style Tour AND $100 GIVEAWAY! 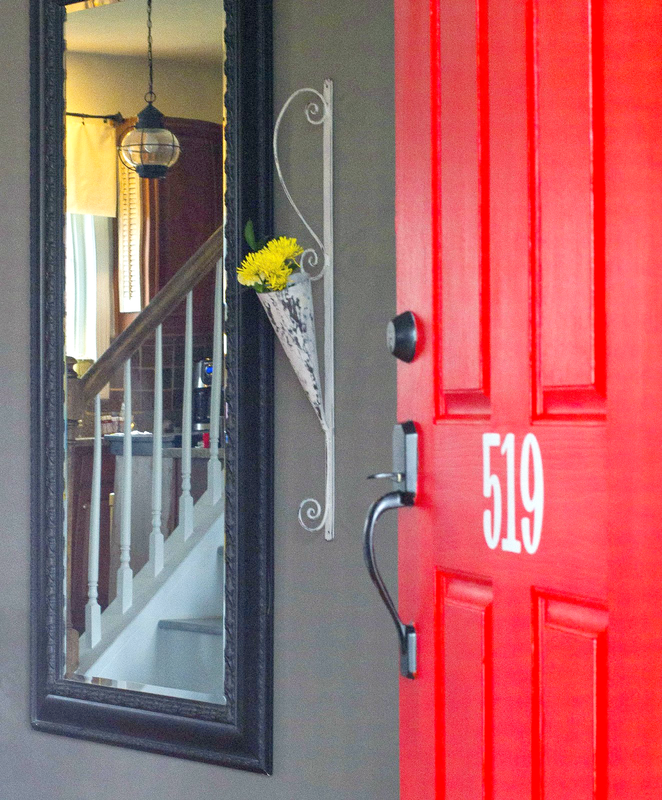 I love a great home tour, don't you?! where each Friday you will be able to tour a different home and enjoy some great summertime inspiration! 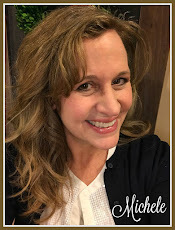 Today I'm super excited to Welcome Holly at Down to Earth Style, friend and author of a long time favorite blog of mine where I personally go for year round inspiration. Let's get started, shall we? Isn't summer an exciting time of year? When I think of summertime - thoughts of easy sunny days, cook outs with friends and family, camping...and lots of memory making comes to mind. I like the interior of my home to flow well with the casual lifestyle of the season. Like I say - it's an easy living time of year and that includes cooking. Grilling outside seems effortless when we throw some burgers or chicken on the grill with natural herbs and enjoy dinner on the deck. No set tables - just casual. 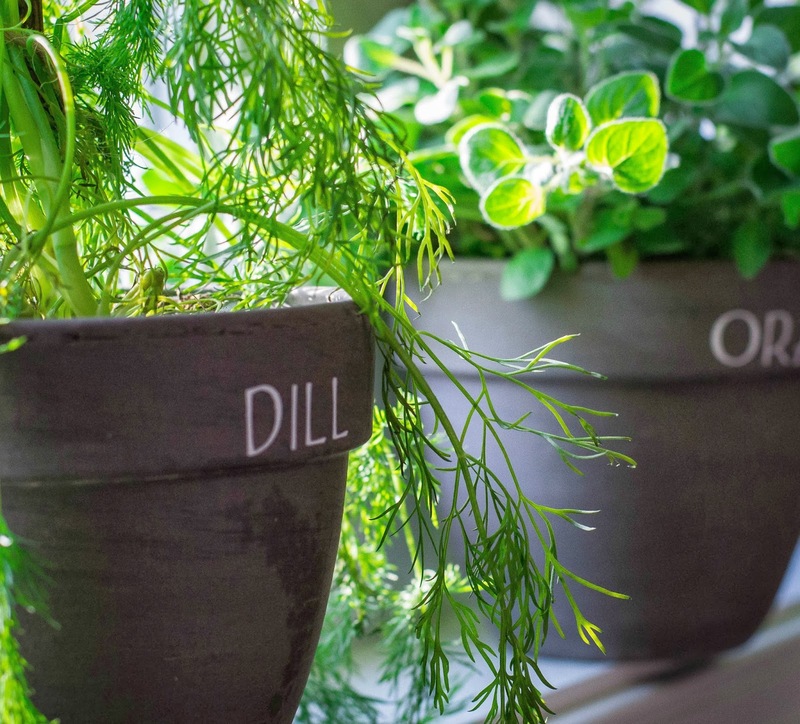 Growing herbs in the kitchen window or in pots on the deck make the space fragrant and pretty, too. I like to be prepared for spontaneous BBQ's and hang outs by having versatile garden furniture pieces around for entertaining and for relaxing with a frozen beverage. 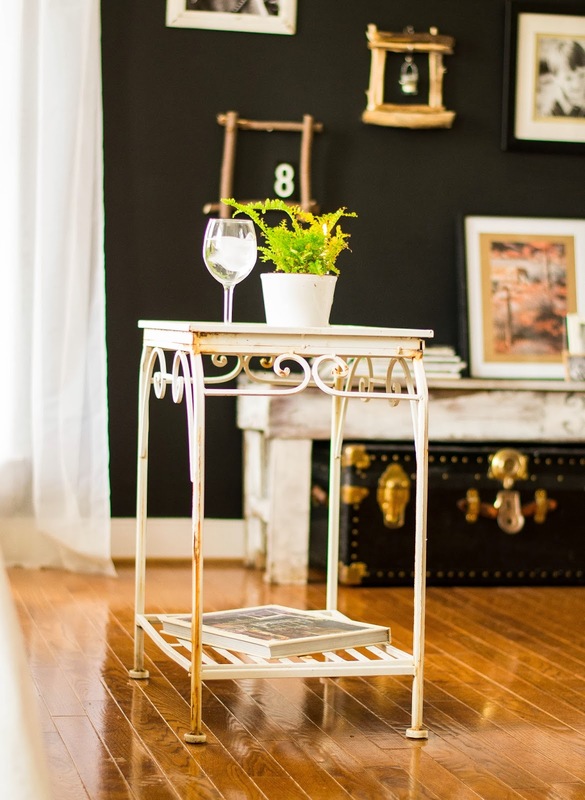 Every seat in the house (and out) needs a small platform to set a fresh drink on. 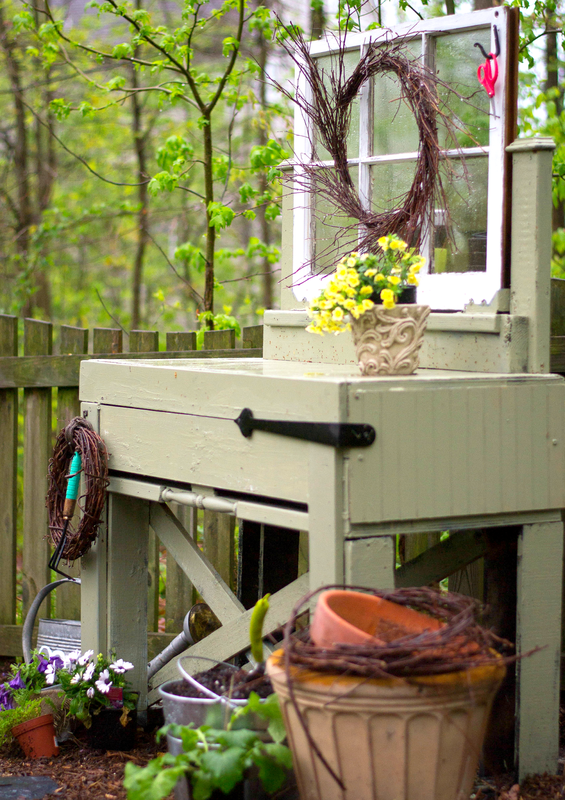 Plant stands are a perfect size to pull up or move around to accommodate casual gatherings. 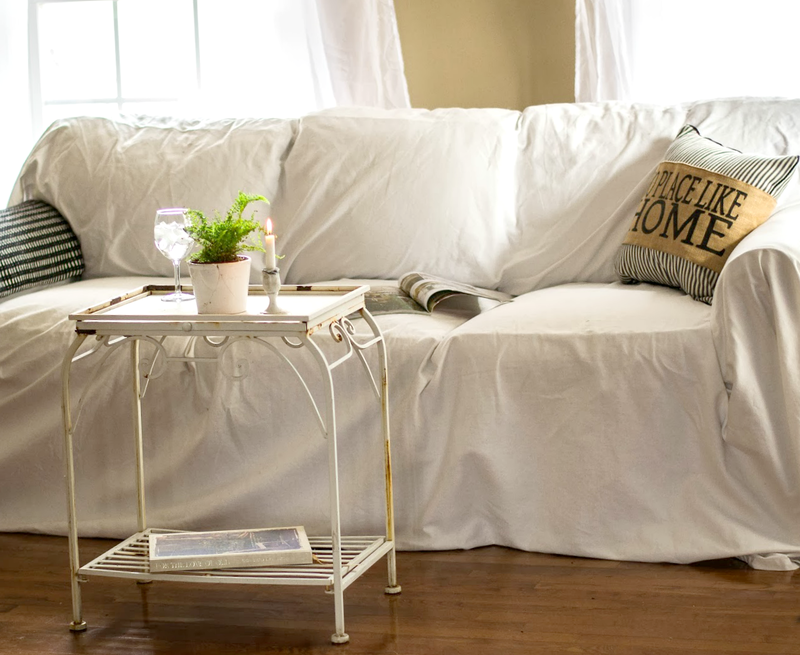 Throwing a white drop cloth slip cover over the sofa brightens up the living room and keeps the upholstery fresh. 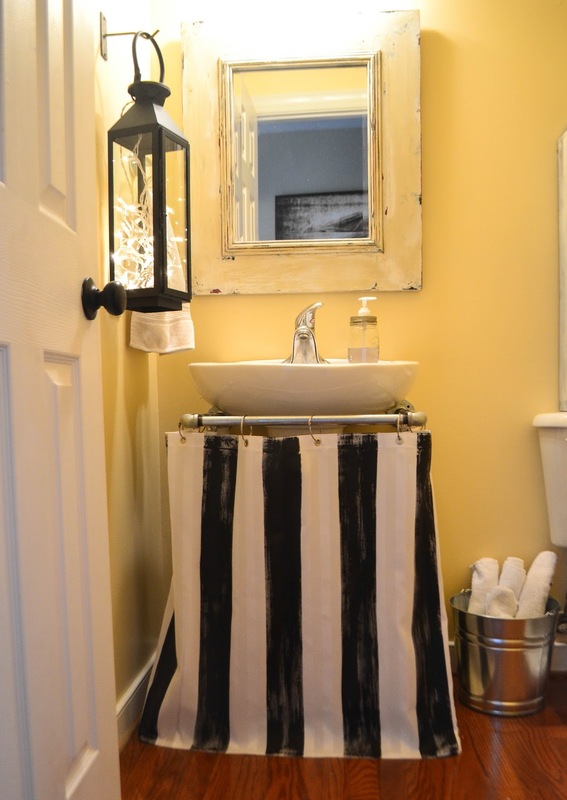 The drop cloth pulls off easy for washing and can be bleached. This one is from Pottery Barn (link). We spend more time outdoors when it is warm so I keep easy clean-up in mind when preparing for summer. Nobody wants to spend a gorgeous day doing laundry so I keep hooks on all the doors for an easy place to drop beach towels and swimwear that can be used one more time before they hit the soap suds. 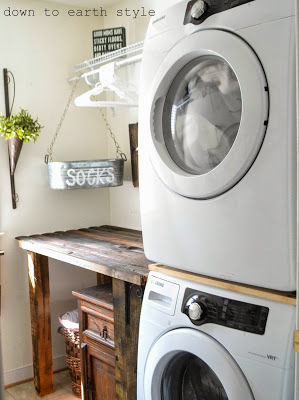 Less clothes worn = less laundry. 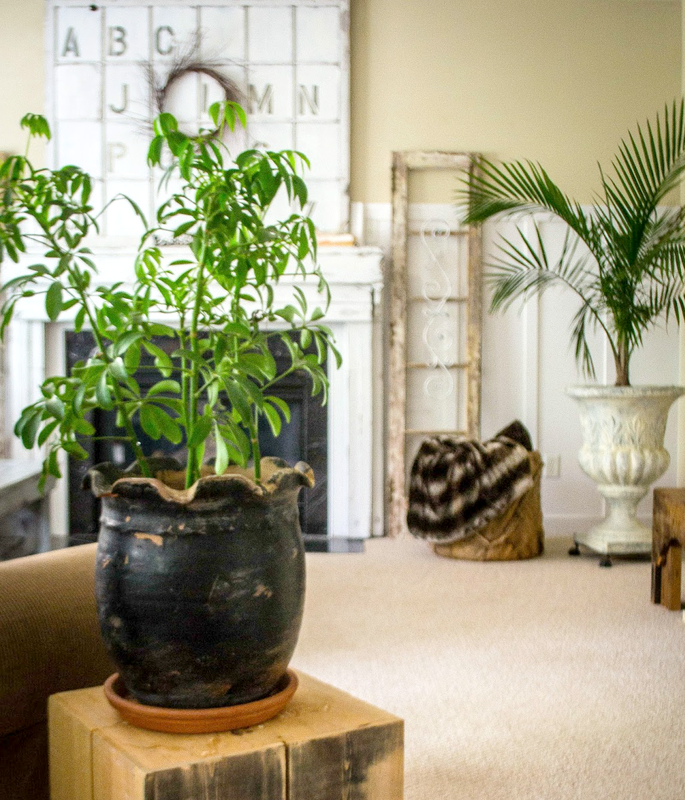 It's a healthy choice to have living plants in every room and it brings the fresh outdoors inside. Twinkle lights in a fern at the breakfast table and strung around the deck make it feel like a party is about to happen. I don't know about you but we still keep throw blankets around in warm weather because I tend to keep the air conditioning a little lower than I probably should. It feels so good to come into a cool house after a day at the pool or beach. We use our outdoor fire bowl on the deck for making smores when the night is cool enough. Watching the fireflies among the grass and trees is still so amazing to me. I grew up in Utah and thought fireflies were just "made up" bugs in story books. Here on the East Coast, they are for real - like magic! Red is the color that pleases my eye this summer. I am even wearing it on my finger nails and toes. The half bathroom has a garden lantern filled with twinkle lights. It lights up the foyer just enough after dark, a bottle of fireflies like my boys used to "catch...and release". Adding white sheers, white bedding and a colorful throw pillow in the bedroom is so inviting. 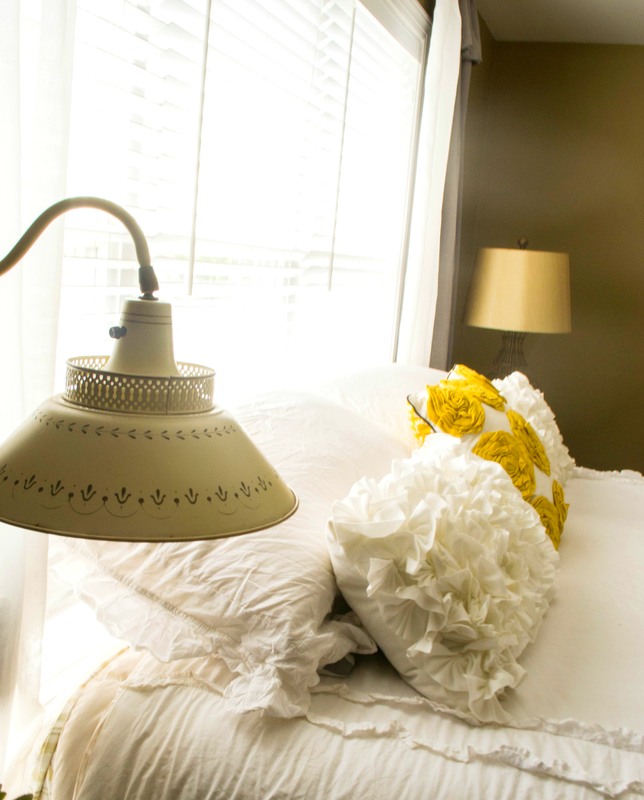 Prop up pillows, turn on the fan and read a good book when the days are too humid or rainy to be out. Making the yard colorful is an enjoyable way to spend a day, especially with a special place to plant pots such as on this garden bench. You can see how I originally made it here, and then how I transformed it again here. On our covered porch sit two ficus trees - an indoor plant the rest of the year. They love the humid weather and thrive on this east facing porch. Many different wreaths can be displayed in the summer, this one is a simple preserved boxwood. Adding fresh greenery, colorful pillows, more white and garden accents are a few ways to bring a summer time look indoors. What do you like to do different in your home for summer? Thank you for stopping by to see my home in the summer...and Thank You, Michele, for hosting this tour. Aren't you just bursting with inspiration now too? She makes everything so naturally beautiful and appear so do-able! Don't go away yet though, I have a giveaway for you as well! How about a $100 dollar gift card?! What would YOU do with 100 dollars to spend any way you like?! Enter our giveaway going on now through June 20th by following the rafflecopter prompts below to win! 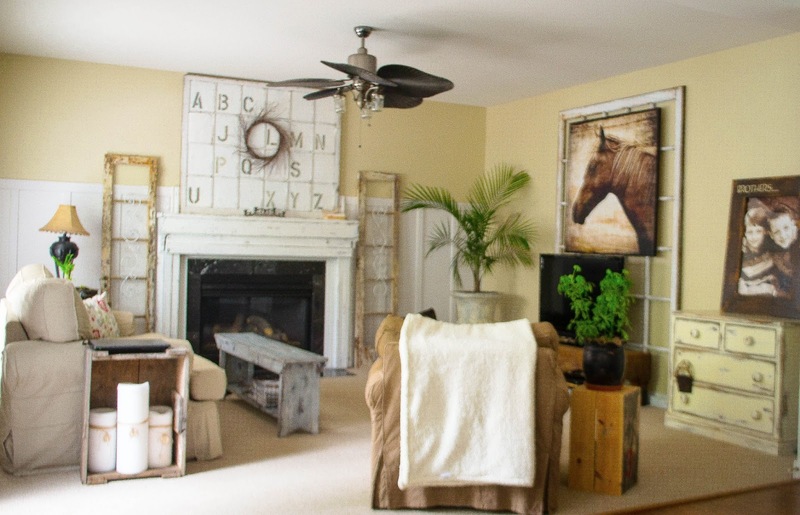 I am a big fan of Holly and Down to Earth Style :) LUV her home and her blog ! Thank you for stopping by! I was super excited to have Holly's tour on my blog and am glad to see you here! Would you enable your email, so that I can receive updates in my email? I tried but it says it's not enabled. Thank you Carolyn, I thought I had fixed that. The glitches should be worked out now so I hope you will join us and follow along. So glad to see you here! I would buy these crazy overpriced outdoor throw pillows I've had my eye on! I would buy paint or my bathrooms. I hope that after you got them all done, you would share them with us! I love Down to Earth Style. I would buy some throw pillows for the couch. I adore Holly and her blog. 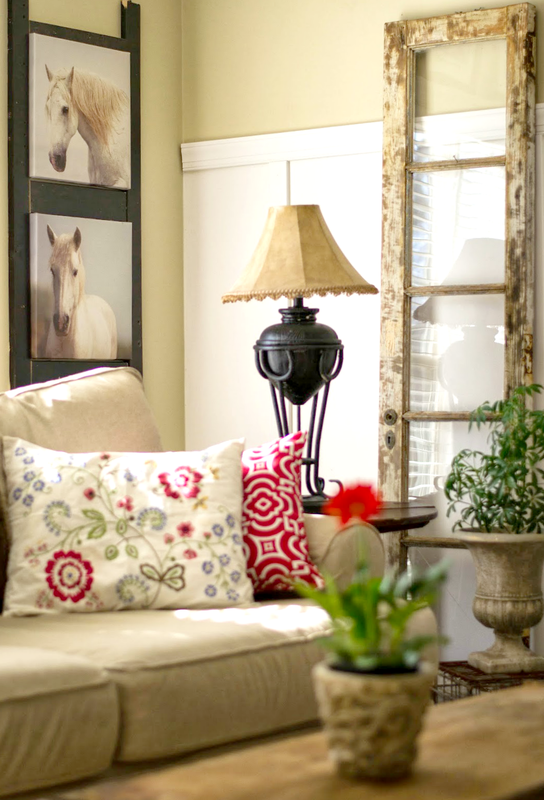 She always has so many fabulous ideas on making her home perfectly comfortable and welcoming! 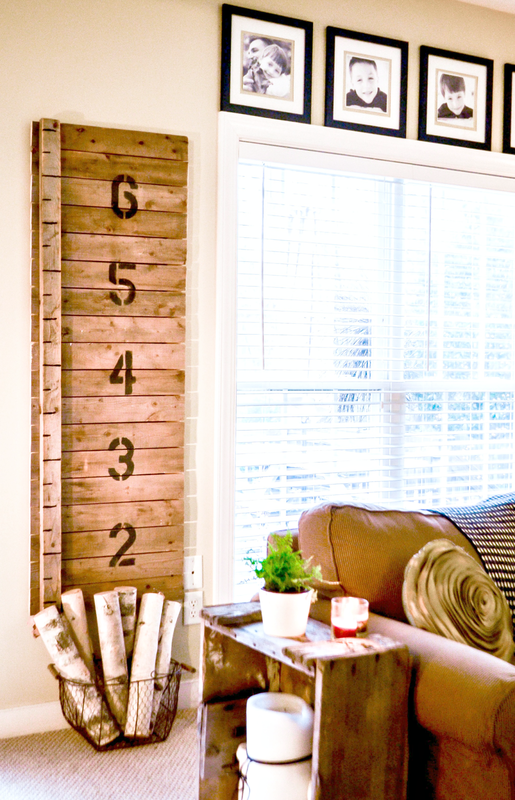 holly's home is gorgeous--love her fabulous diy projects! If I had a hundred dollars I would use it to redo an antique mirror a bought that is a major fixer upper! If I won the hundred dollars I would go shopping at my local thrift store for tons of goodies, spend a few dollars at Amazon. Holly has such a beautiful home. I love that red door and the fern over the breakfast table. GORGEOUS! Amazing how a touch of greenery makes a room so inviting, huh! Thanks for stopping by Meredith. 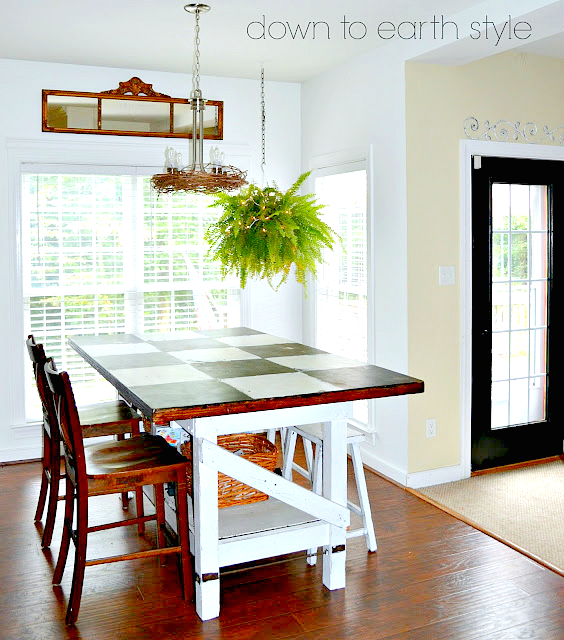 Thank you so much for sharing your DIY down to earth home. I enjoyed peeking around and seeing all you great projects and simple ideas. You always say the sweetest things Jeanette! Thank you for taking time to enjoy. Lovely giveaway. So glad to have found you. I would use a 100.00 to buy a new umbrella for my patio and maybe two new bar stools for my table as well. Thanks for the chance. Oh, I need the same exact things. I've been dreaming of buying them for some time. Good luck! 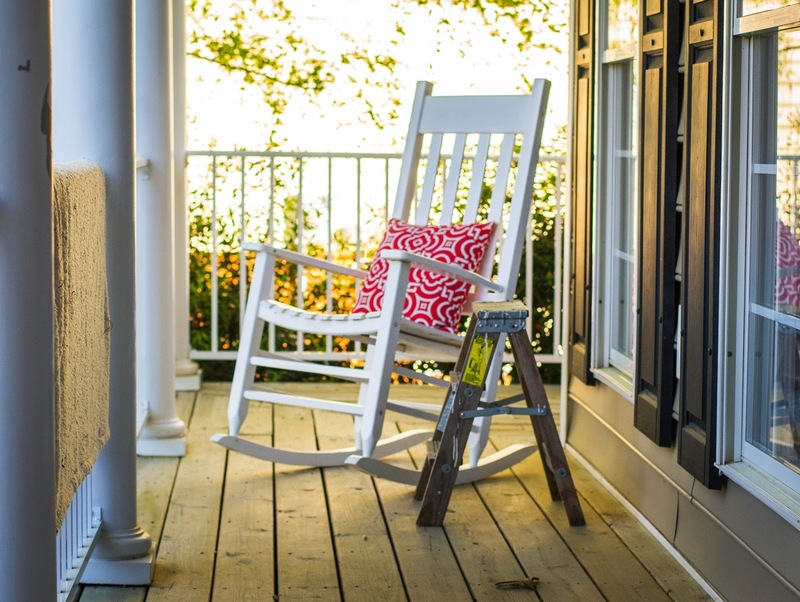 I would buy some bright accent pieces to make by screen in porch "pop" with some color. Right now it is so "brown" and needs some help!! Holly is one of my favorite bloggers.. great post! I'd have some summer fun with my kiddos! Thanks for the chance to win! 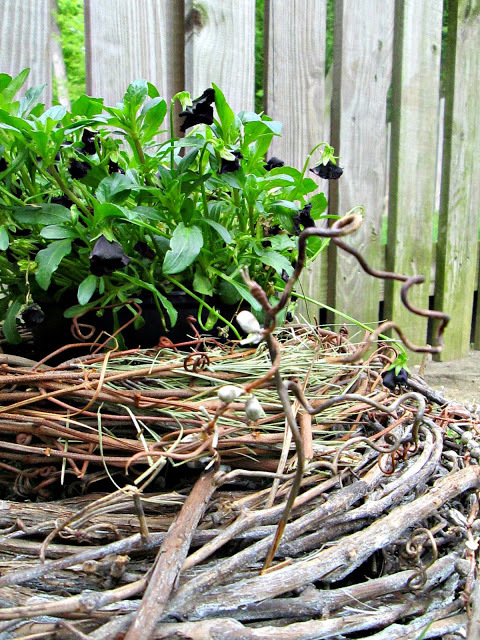 I LOVE Holly's creative and fun nature... and her beautiful home!! If I won $100.00 I would of course spend it decorating my new (old) home... and I've copied many of Holly's idea's (shameful)! 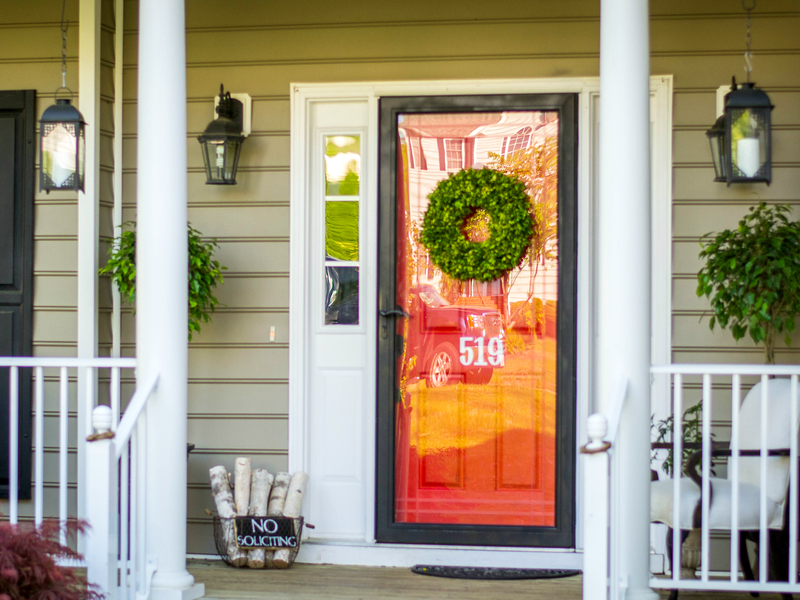 I love the front porch and red door of this house, it looks so warm and welcoming.